HeartBeat started up in 2012 with a clear international mission and with the intention of dressing young people who are engaged with their environment, who live in the community and relate to each other. Young people who have a casual dress sense, who shun stereotypes and who want to feel good in whatever they are wearing. To meet their needs, HeartBeat takes the latest international trends, mixing them with the influences that are seen on the street, and reworks them into comfortable and easy to wear garments, with a timeless appeal. HeartBeat is always watching out for new technologies, social movements and the latest artistic or musical trends. Inspired by the legendary state of California and with an eye on the rest of the world, the product line is constantly being updated. HeartBeat strives to make products that are better by design. Our products are thoughtfully designed down to the last detail, so you can experience lasting enjoyment. If you are not satisfied with your product we will gladly provide you a replacement or refund. See our Shipping and Returns section below for more details. We vow to always be open with our customers, and we encourage you to provide honest feedback in return. For as long as you wear clothing, we'll do whatever it takes to clothe you well. We strive to bring you products that are socially responsible by ensuring that all of our suppliers meet minimum ethical standards for their facility working conditions. We believe in the importance of treating all people with the dignity, that's why we do our best to only source goods from facilities that provide workers with the ethical working conditions they deserve. It is our belief that producing affordable, quality products shouldn't come at the cost of the environment. By utilizing digital prototyping technologies that reduce waste in our supply chain and encouraging our suppliers to adhere to strict environmentally conscious manufacturing techniques we try to do our fair share is promoting a more eco-friendly industry. Heart Disease is one of the leading causes of preventable deaths in adults across the developed world today. 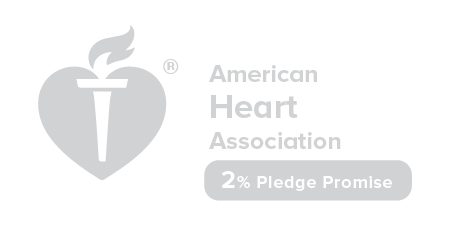 The American Heart Association's mission to fund research, public outreach, and preventative intervention is a positive step in the effort to defeat this silent killer. That is why we pledge 2% of our annual profits towards supporting this meaningful cause. Each purchase you make helps bring all of us closer to a healthier future.